Anthony Maras’s debut feature puts you in the midst of a terrifying, overwhelming experience in the wake of the actual horrific mosque attacks in Christchurch New Zealand. 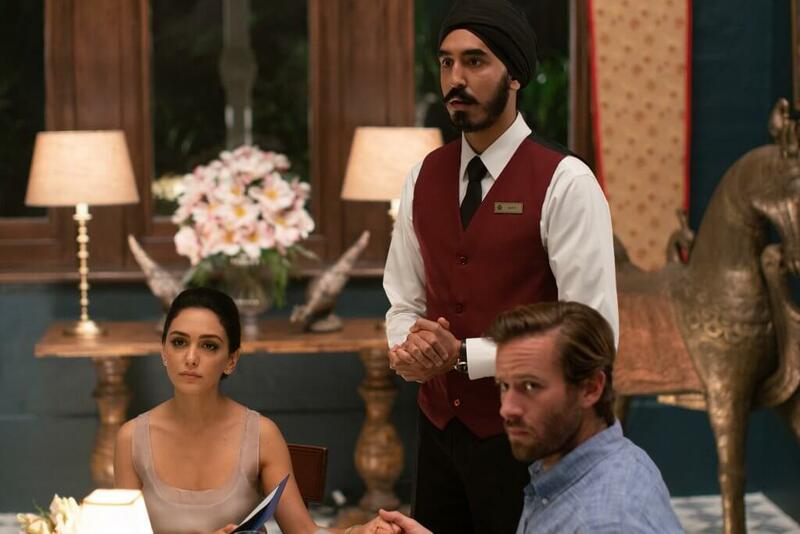 Hotel Mumbai (multi-lingual, fully subtitled) shifts vantage points in a humanistic, if trite depiction of ten jihadists (Lashkar-e-Taiba) causing havoc throughout India’s most populous metropolis (and its financial capitol); this account concentrates on the luxuriant Taj Mahal Palace hotel (in the seaside Colaba district) where thirty lives were lost in late November 2008. Scholars may be into the filmmaking as it pertains to historical context and significance, at least for a while. You could tell that the incident was well researched by Maras (from Australia) and his fellow scribe John Collee as poor, uneducated militants (guided by their leader Brother Bull through mobile devices/earpieces) to quietly descend upon their target (which presumably would be inhabited by many Westerners) as guests and staff members from every walk of life would mustering up everything they have to withstand such a violent onslaught. The detail and forthrightness in the narrative (drawn from meetings with survivors and witnesses) and staging (abetted by a visceral verse in the lensing) will leave an emotional imprint as the victimization of this kind of attack entails much trauma. Motivation behind what becomes more costly here is delineated in what prompted the unexpected chaos and reactions of innocent hotel denizens. But, little sympathy is felt for a group told they are on their way to ‘paradise.’ A hellish ride is immersive in an alluring prosperous country, but not quite as riveting as contrived, having more qualities of the disaster pictures of the 1970s. In other words, Hotel Mumbai isn’t of the millennial ilk of Paul Greengrass (also you are there docudramas) like Captain Phillips and United 93. Not to say that actors like Dev Patel, Armie Hammer, and Jason Isaacs aren’t locked into the sacrifice and desperation surrounding their characters where unthinkable authenticity is more than implied. It’s just that situations and its populace, including Patel’s Sikh waiter, as well as Hammer’s architect husband and wife (she’s played by British-Iranian actress Nazanin Boniadi), not to mention Isaacs’ unctuous Russian businessman and former Special Ops guy are casualties for what is to pass as unwavering courage. What cast and crew have accomplished here isn’t hard to admire, as those behind the scenes like a head chef get their due, yet the painstaking way in which the incessant implacability is captured keeps it from being an impelling cinematic visit. MPAA Rating: Rated R for disturbing violence throughout, bloody images, and language.